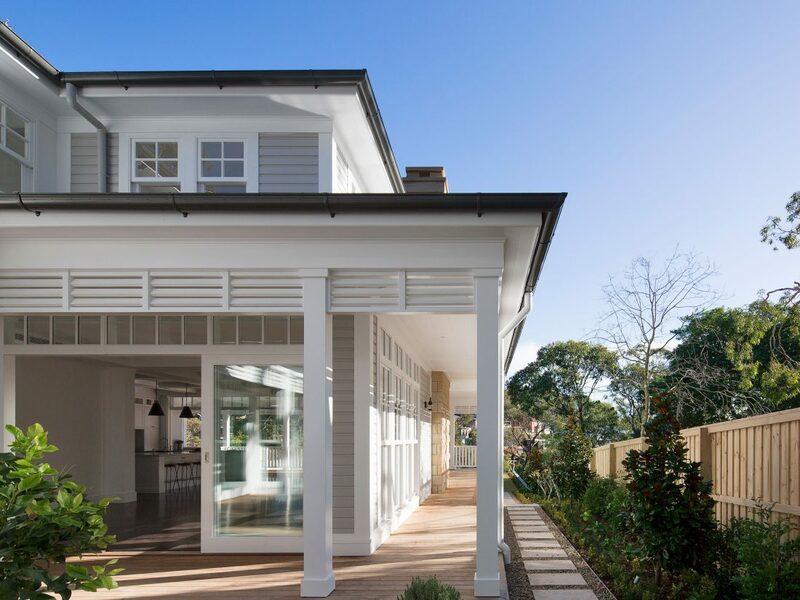 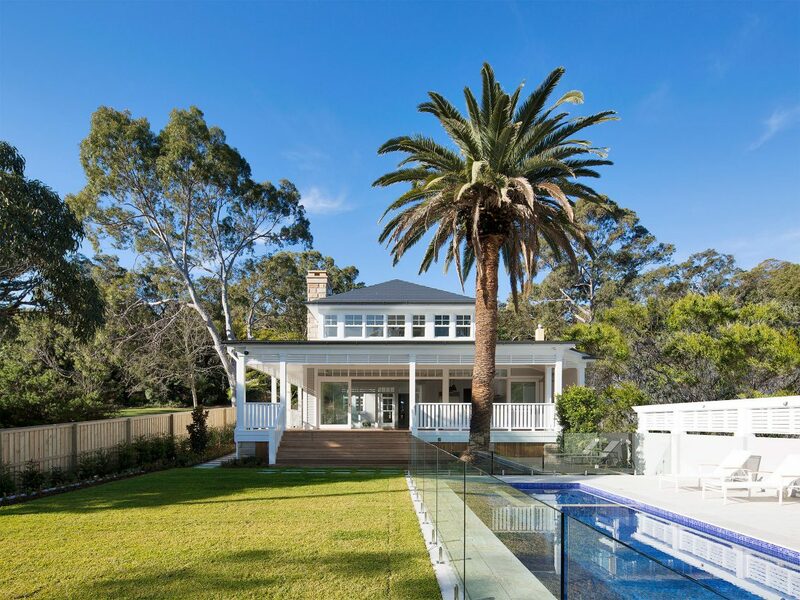 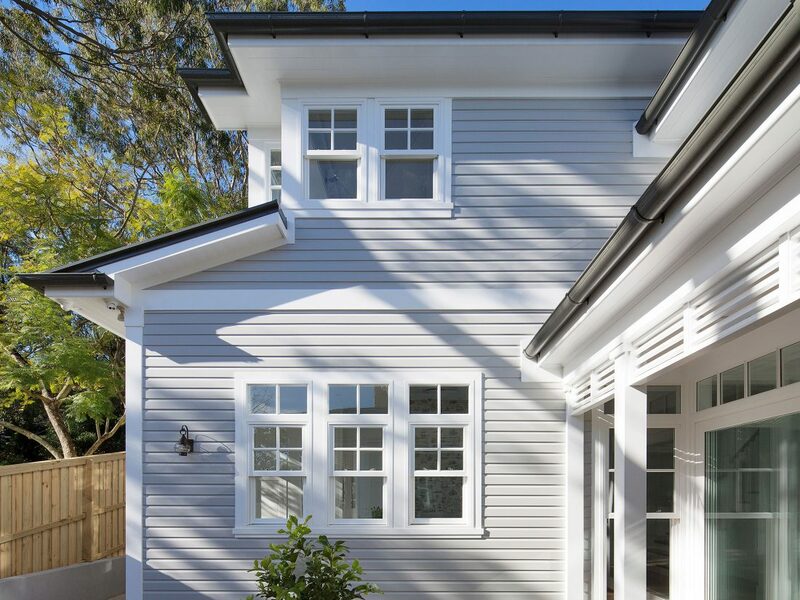 This Mosman waterfront home was designed to maximise the beauty of it’s serene leafy water views. 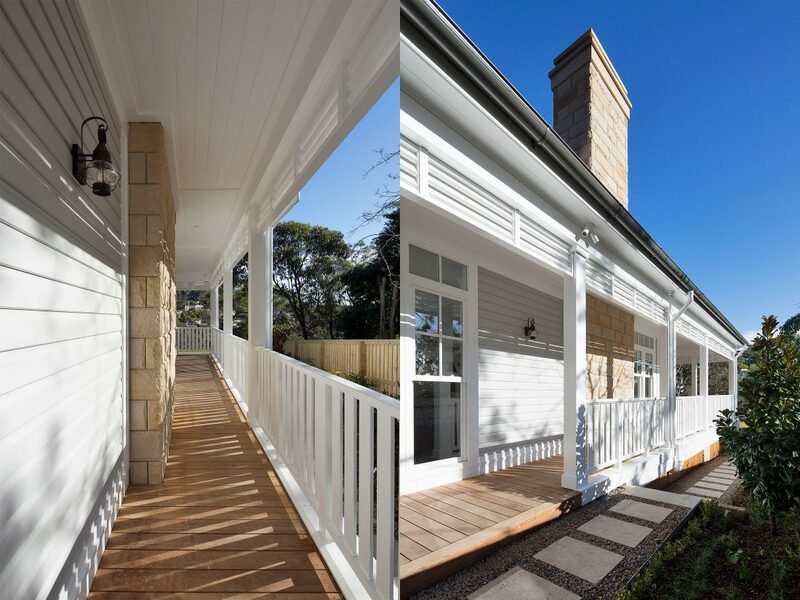 The solid sandstone chimney and wrap around verandah reference the traditional coastal vernacular of the locale. 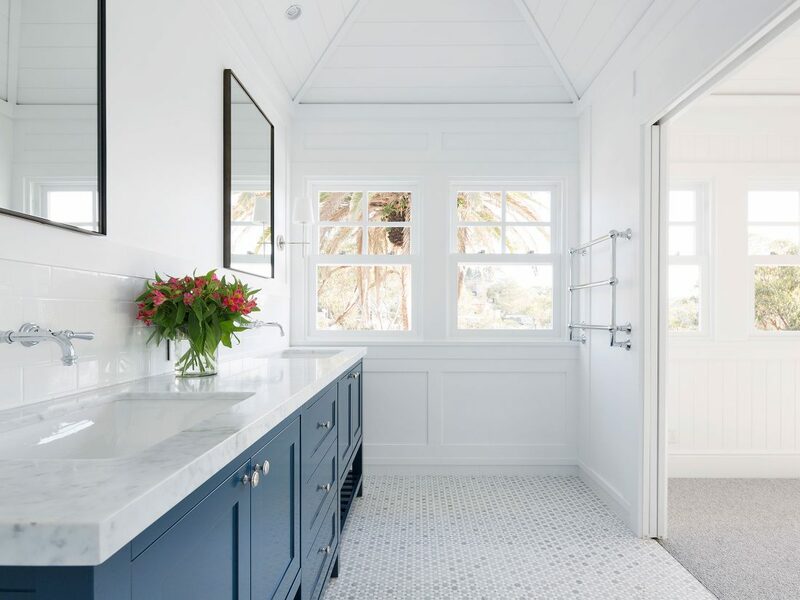 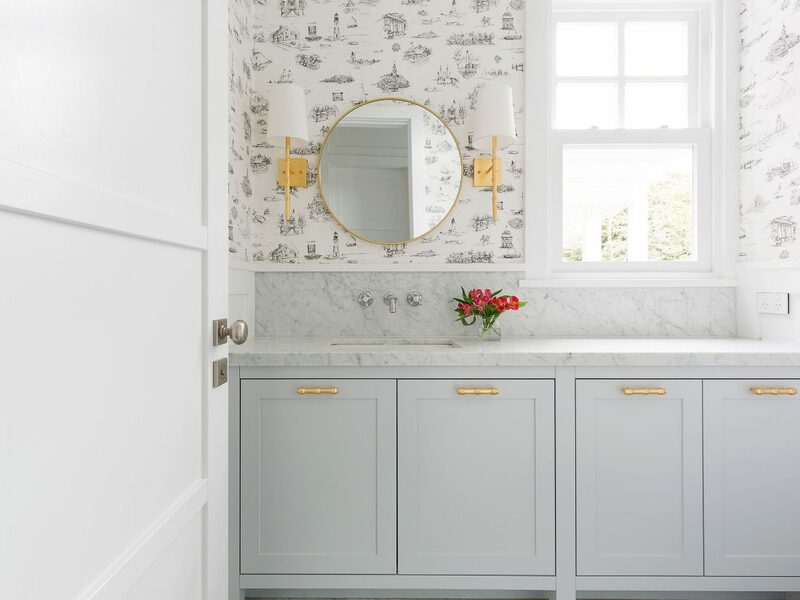 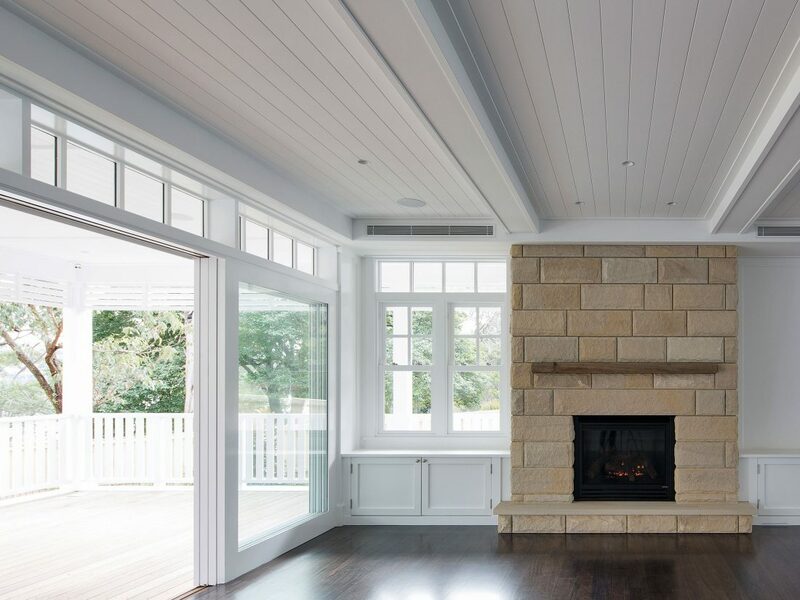 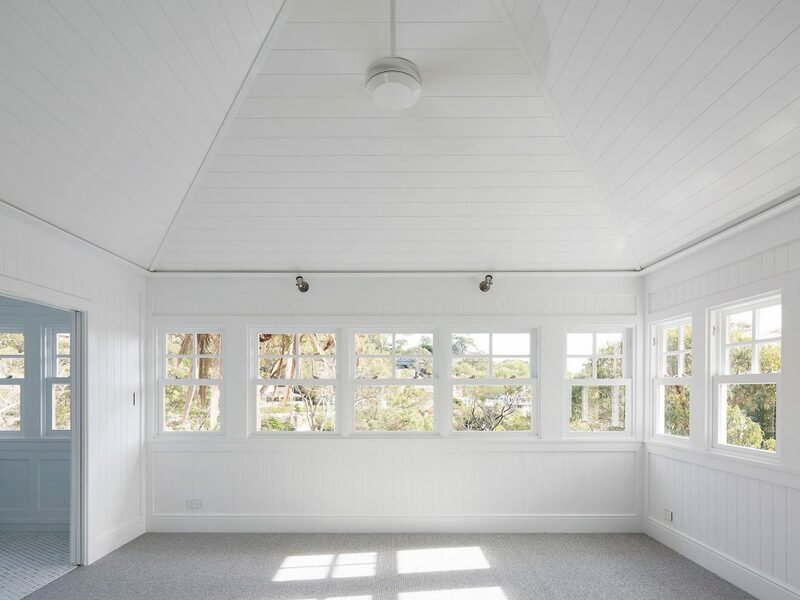 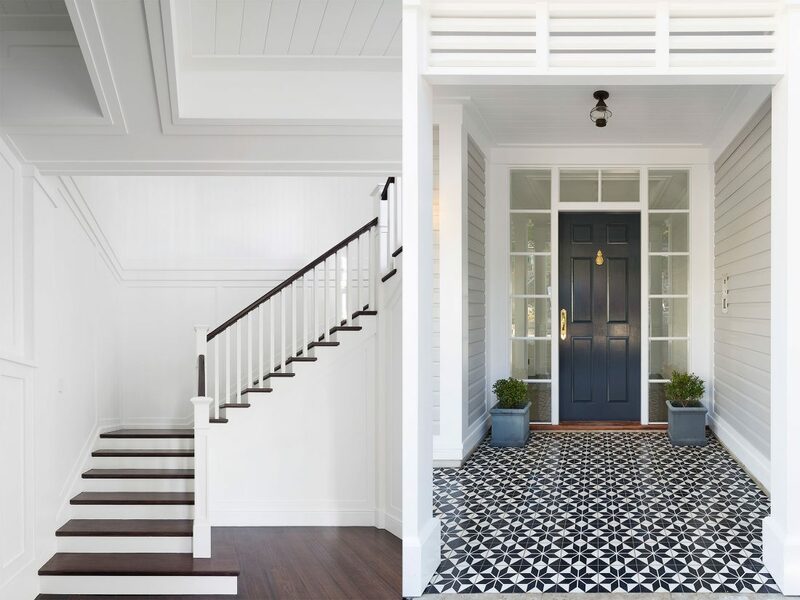 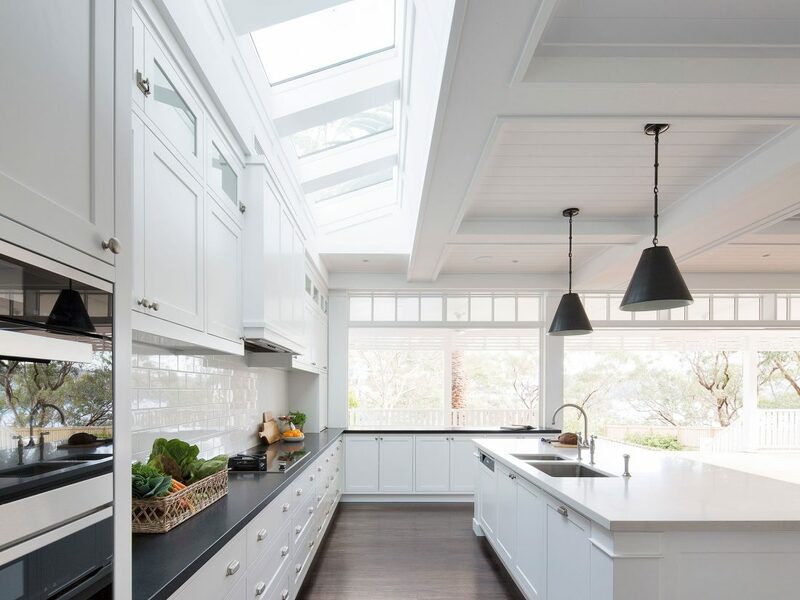 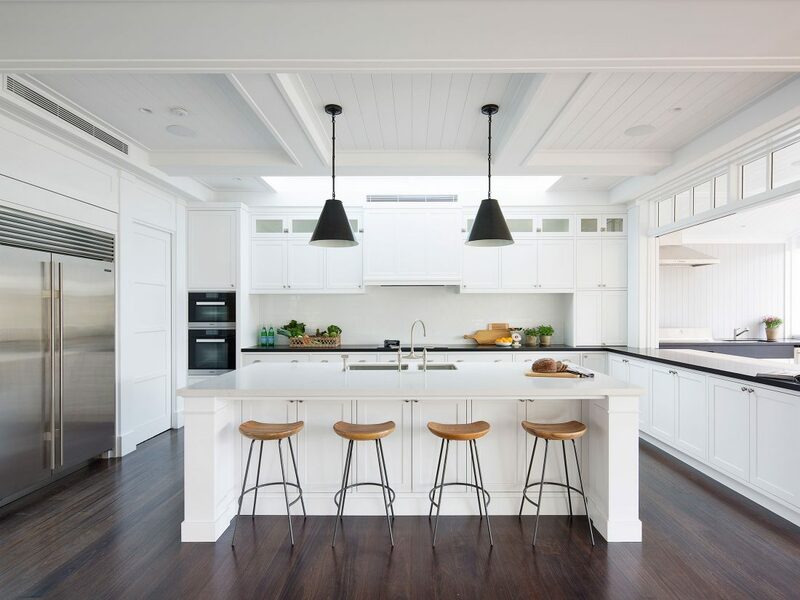 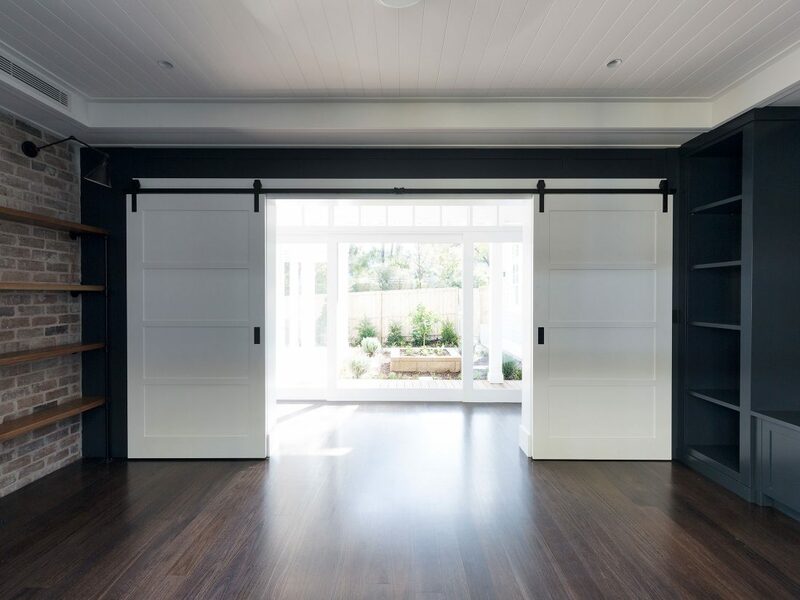 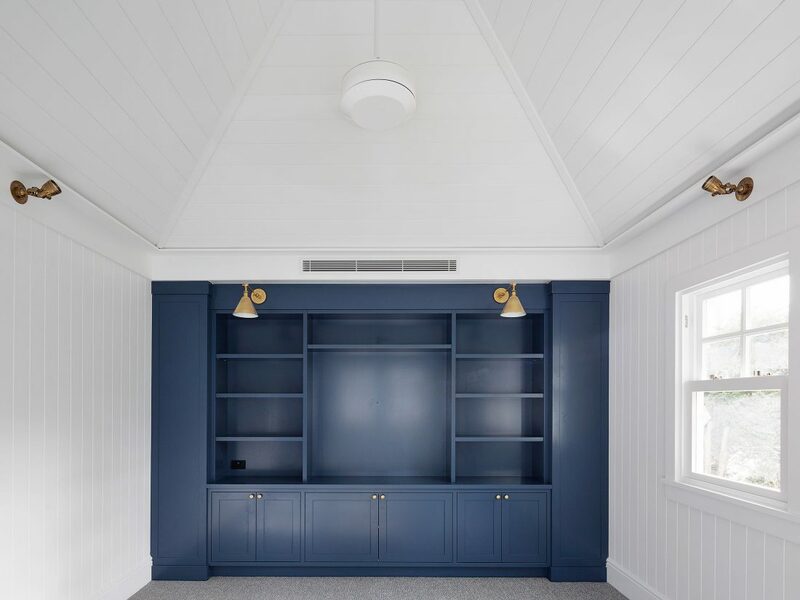 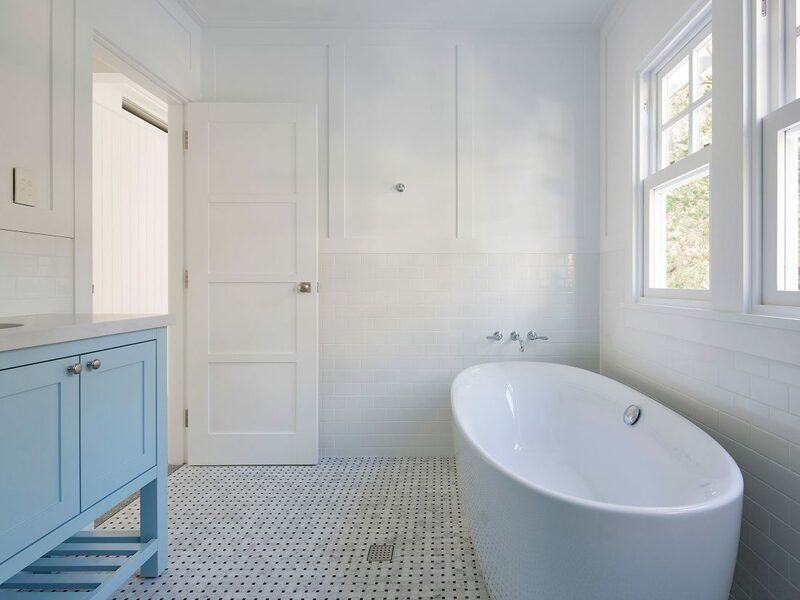 Crisp white panelled walls, detailed coffered ceilings and dark timber flooring combine to create an inviting and timeless interior reminiscent of the homes of Nantucket and the Hamptons. 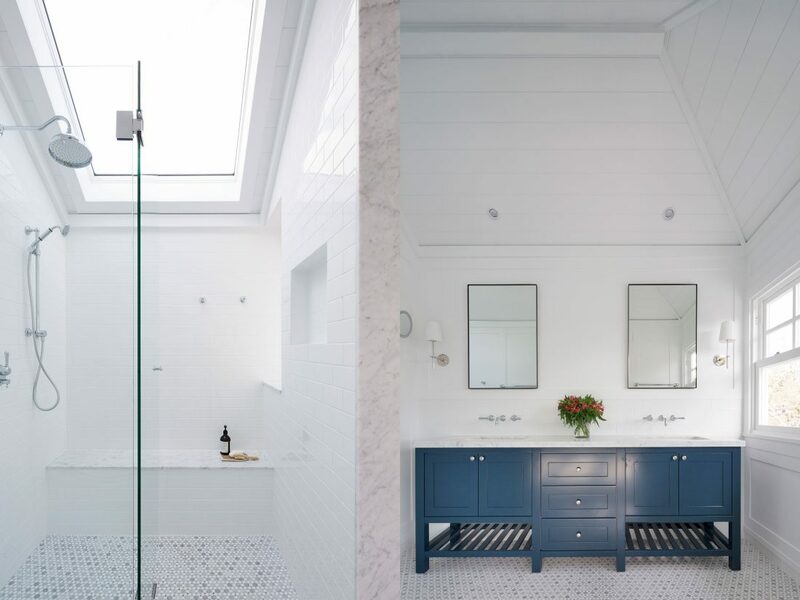 House and pool design by Alex Stritt. 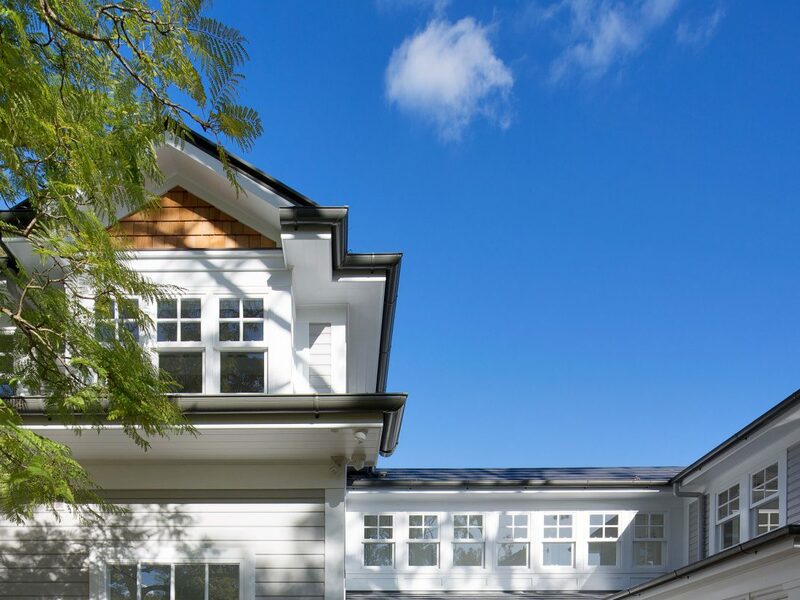 Built by Stritt Design and Construction.